Lycopene is a natural chemical pigment, which is responsible for the red colour of tomatoes. Chemically, it is related to beta-carotene (the orange pigment in carrots), but it behaves in the body quite differently. 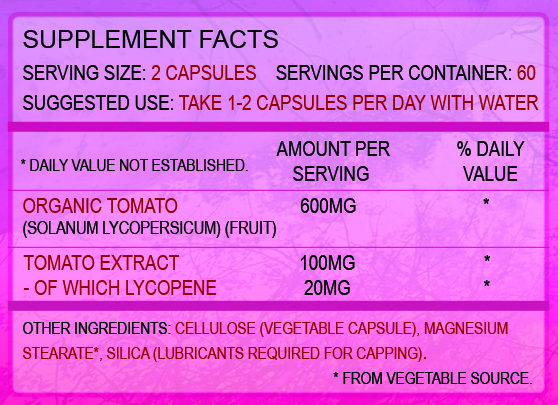 Lycopene is a very powerful antioxidant, many times more powerful than beta-carotene, meaning it is extremely effective at protecting the body against oxidative stress, which can lead to inflammation and other chronic diseases. In addition to being a powerful antioxidant, clinical trials have shown that lycopene promotes normal cardiac function, and can help reduce the risk of developing cardiovascular related diseases. This is a massive benefit to those in the Western world where cardiovascular disease is rapidly growing. Finally, and possibly most important to some, lycopene has been shown in numerous clinical trials to protect the prostate, and promote normal prostate function. 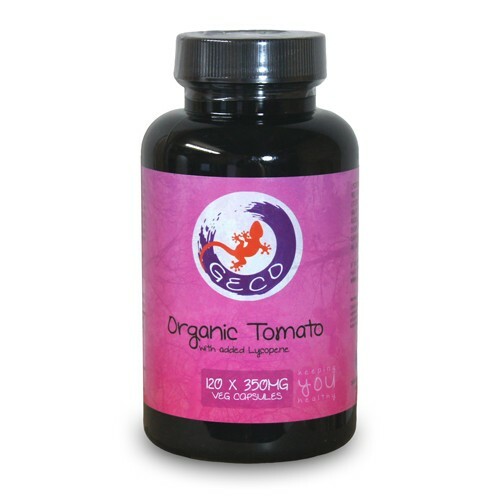 This product not only contains an effective 20mg of lycopene per dosage, but also contains 600mg of organic tomato powder. This is to make the supplement more like food, and less like a supplement. The reason for this is to improve the absorption of the active ingredient, as time and time again we have seen that supplements are poorly absorbed, unless they are consumed with other nutrients they are often found along side in nature. A great example of this is vitamin C, which is very poorly absorbed unless consumed alongside bioflavinoids. Consuming lycopene along side other nutrients found in tomatoes will not only improve the absorption of the lycopene, but also provide small amounts of other nutrients.